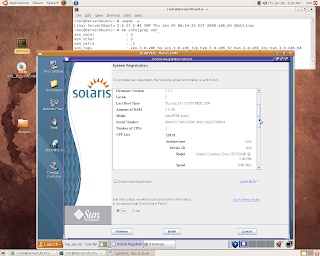 The root cause for port mentioned above is to run 64-bit Solaris 10U6 HVM on SMP box with several vcpus. 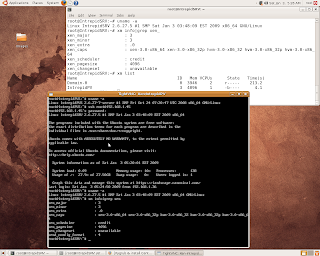 Install openssl,x11(xorg-dev),gettext,python-devel packages required by Xen and bcc&libc6-dev-i386 via Synaptic Manager.The last two packages are needed to compile “hvmloader” and related binaries. 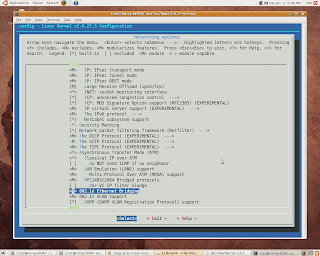 HVM installer dropped into text mode in my case. 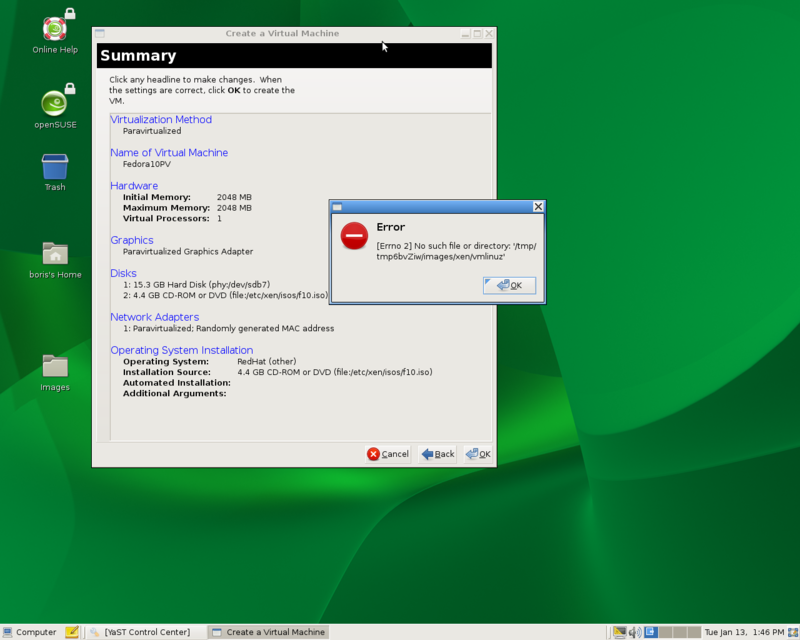 However, it didn’t affect X-Server startup during runtime. 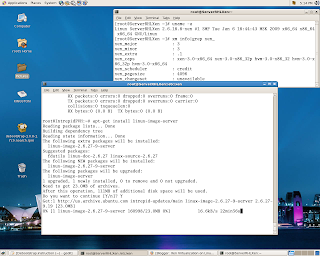 was negative, in regards of not providing an option to utilize local HTTP Mirror (NFS Share).Installer above just activated Xen Ethernet Interface at DomU and with no prompts addressed to Fedora’s Internet Repositories, what was actually, time consuming procedure, even at 100KB/sec (ADSL) connection.Schema bellow works also at Xen 3.3.0 Intrepid Server Dom0 with Novell’s Xen-ified kernel, where profile mentioned above is useless due to some incompatibility between Ubuntu loop devices and F10 ISO structure. Workaround for this issue follows bellow. 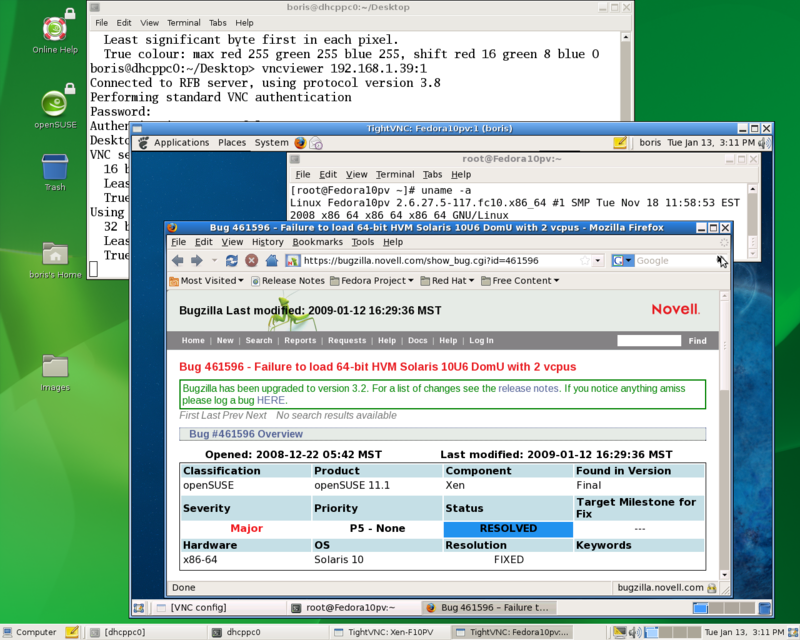 (user port 5901 & DNS) and activate iptables services again. Reboot system. It’s ready to go. return path to binaries, required by build. 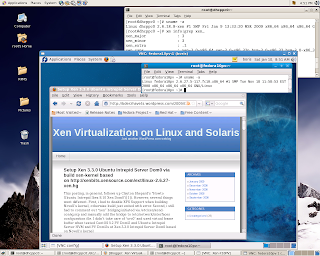 Determine the name of the Xen Linux kernel version that was installed. 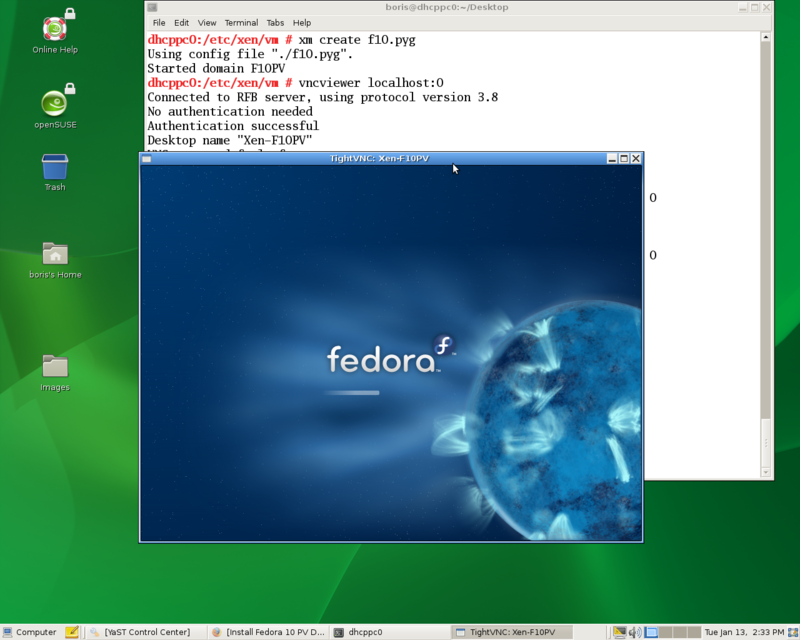 Fedora 10’s debootstrap-1.0.10-1.fc10.noarch.rpm has this symlink already created. 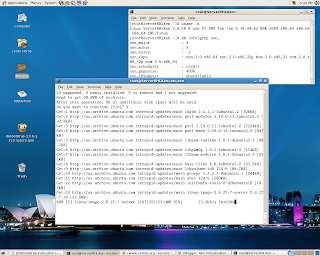 Moreover debootstrap-1.0.10-1.fc10.noarch.rpm been installed on Xen 3.3.1 openSUSE 11.1 Dom0 provide comletely functional debootstrap utility to create Intrepid Server, Hardy Heron PV DomUs at openSUSE 11.1 Dom0 in the same way as described bellow. 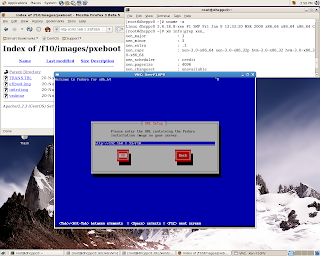 Exit chroot and unmount the filesystem. At this point i had to bring /etc/apt/sources.list from remote Intrepid Server installed on bare metal. 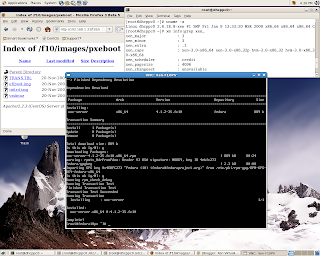 I would also name this post xen-image-create&debootstrap vs python-vm-builder in regards of pre-building Xen Guests at Ubuntu Intrepid Server.View Bug #311943 at https://bugs.launchpad.net/ubuntu for details. 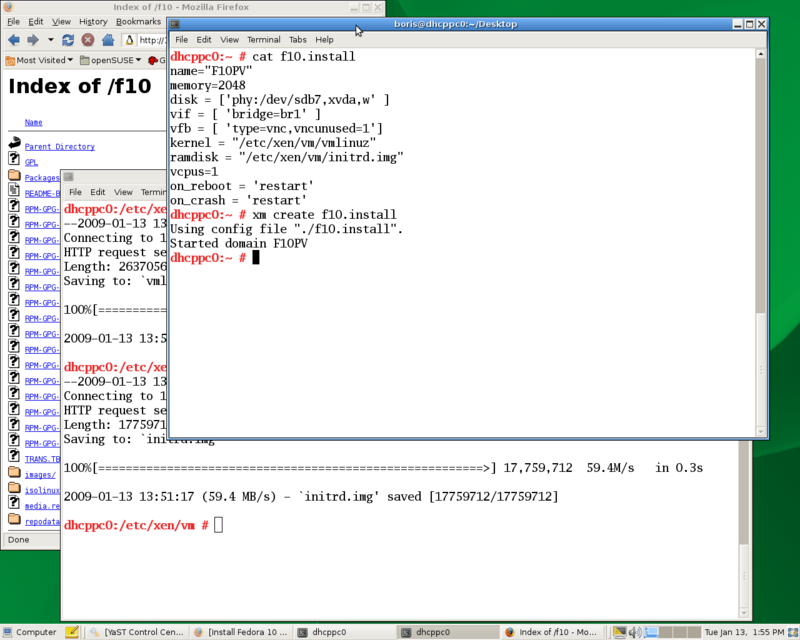 Install Intrepid Server Dom0 with Novell’s Xen-ified kernel, enabling Dom0 and DomU support at a time. 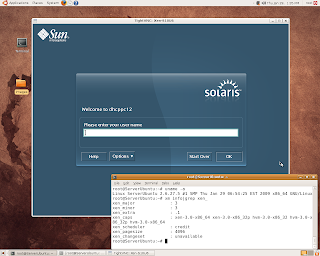 View , for details.Tune xen-tools scripts per  and create Intrepid PV DomU. 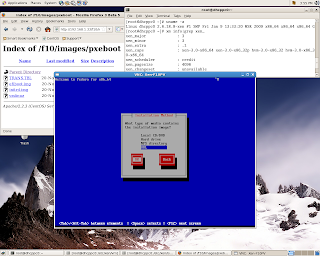 Actually, images been created via xen-create-image allow to upgrade DomU to real Intrepid Server PV DomU. 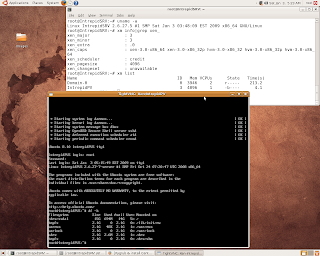 and switch DomU’s kernel to vmlinuz-2.6.27-9-server. 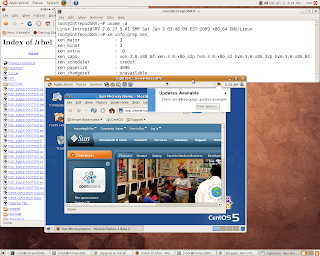 Afterward images may be scp’ed to any Xen 3.3.X Linux Dom0(64-bit) and corresponding Intrepid Server PV DomU loaded for instance at Xen 3.3.1-RC4 CentOS 5.2 Dom0 (64-bit).So, xen-image-create appears to be responsible to prebuild Xen Guest instead of the most recent release of python-vm-builder. [ 0.000000] PCI: Unassigned devices with 32bit resource registers may break! [ 0.000000] Detected 3005.554 MHz processor. 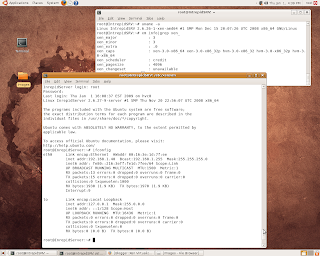 [ 0.037545] ACPI: Interpreter disabled. [ 0.037545] xen_balloon: Initialising balloon driver. 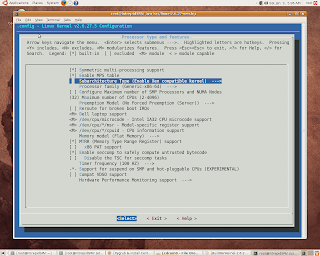 [ 0.070104] PCI-GART: No AMD northbridge found. [ 0.249786] PNP: No PS/2 controller found. 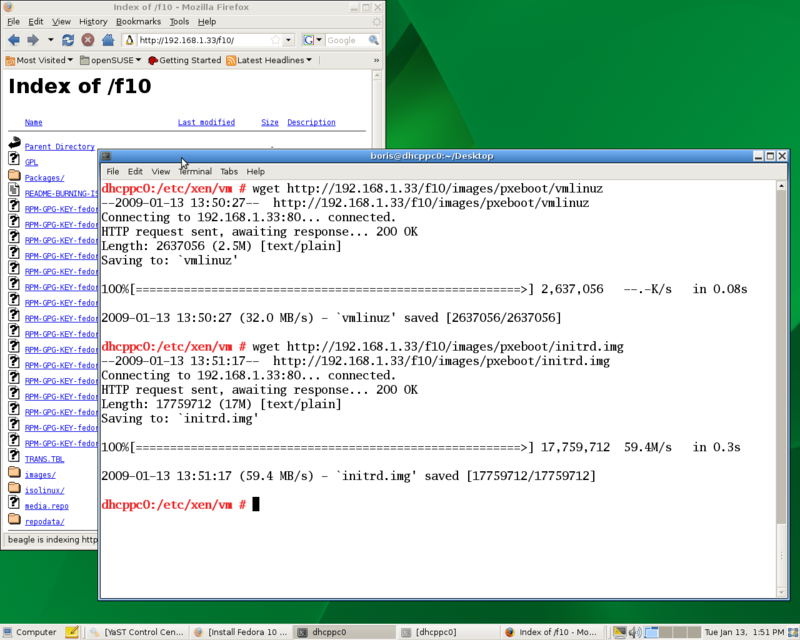 Probing ports directly. [ 0.250640] i8042.c: No controller found. [ 0.270898] IO APIC resources could be not be allocated. 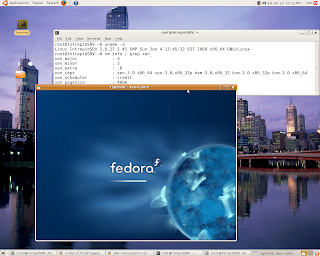 [ 0.271178] EDD information not available. [ 1.235547] EXT3-fs: mounted filesystem with ordered data mode. 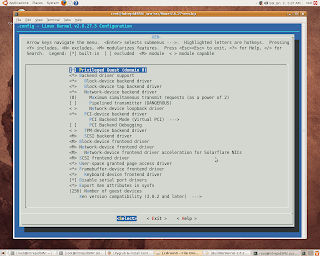 [ 2.081879] Initialising Xen virtual ethernet driver. [ 13.740883] pan0: Dropping NETIF_F_UFO since no NETIF_F_HW_CSUM feature. The authenticity of host '192.168.1.33 (192.168.1.33)' can't be established. RSA key fingerprint is dc:a3:69:28:70:15:3e:20:28:72:76:d9:be:52:2d:04. Warning: Permanently added '192.168.1.33' (RSA) to the list of known hosts. Only required by bridged networking. Commented out all xen-bridge declarations in /etc/xen/xend-config.sxp and manually edited /etc/network/interfaces as follows . (XEN) Detected 3005.628 MHz processor. (XEN) checking TSC synchronization across 2 CPUs: passed. 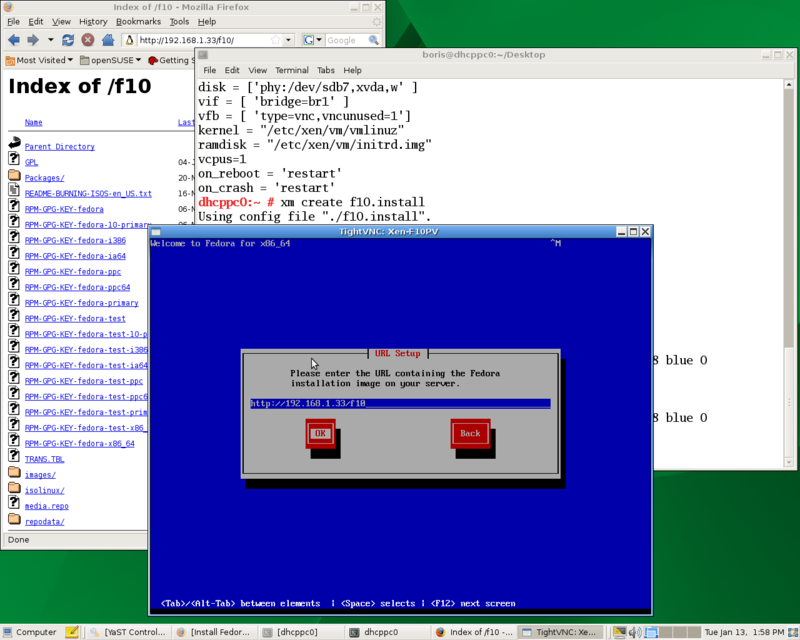 (XEN) Freed 112kB init memory. and reproduced samples from  and . previously created file /etc/event.d/hvc0 at DomU. before booting, or ‘c’ for a command line. [ 0.040317] ACPI: Interpreter disabled. 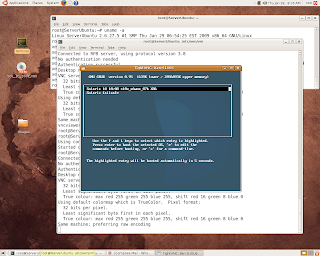 [ 0.040366] xen_balloon: Initialising balloon driver. [ 0.070177] PCI-GART: No AMD northbridge found. [ 0.254140] PNP: No PS/2 controller found. Probing ports directly. [ 0.254964] i8042.c: No controller found. [ 0.271151] IO APIC resources could be not be allocated. 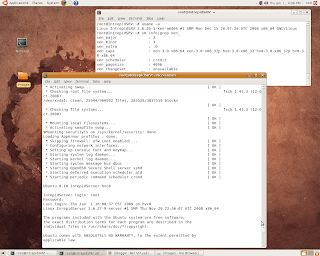 [ 0.271439] EDD information not available. [ 6.440574] EXT3-fs: mounted filesystem with ordered data mode. 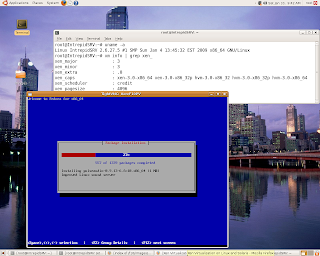 * Loading hardware drivers… [ 7.797709] Initialising Xen virtual ethernet driver. $Mounting securityfs on /sys/kernel/security: done. 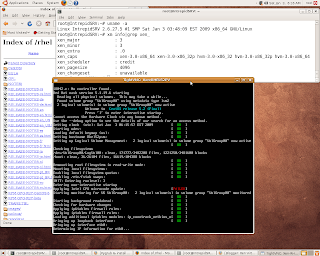 Attempting to reproduce How-To: Run Xen in Ubuntu Intrepid without compiling a Kernel by yourself from blog Chris’ World (), i had to disable any xen bridge definitions inside /etc/xen/xend-config.sxp and manually add the bridge to /etc/network/interfaces configuration file. 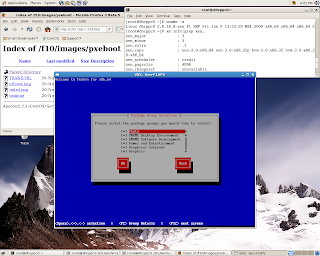 Otherwise, i wouldn’t be able get xen-bridging network running with debian 2.6.26-1-xen-amd64 kernel under Xen 3.3 Interpid Hypervisor installed on the system via Synaptic Manager. 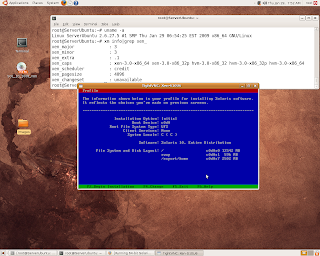 Selecting previously deselected package linux-modules-2.6.26-1-xen-amd64. At this point i was able successfully reproduce  in new environment. 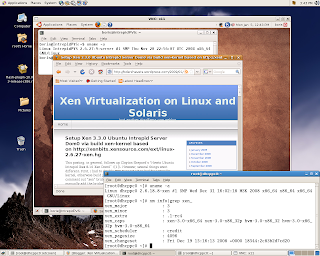 You are currently browsing the Xen Virtualization on Linux and Solaris blog archives for January, 2009.